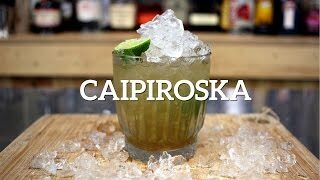 The classic Caiprioska; a variation on the Caipirinha but with vodka instead of cachaca. First cut up the lime in roughly eight equal sections, removing some of the central white pith and ends. Muddle the wedges with the sugar in the bottom of a lowball glass. 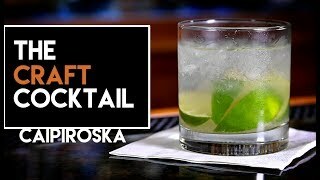 Add crushed ice to the top of the glass before pouring in the vodka and stirring to combine. 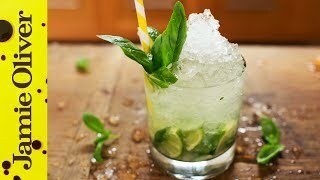 Add a lime wedge on the edge and serve.